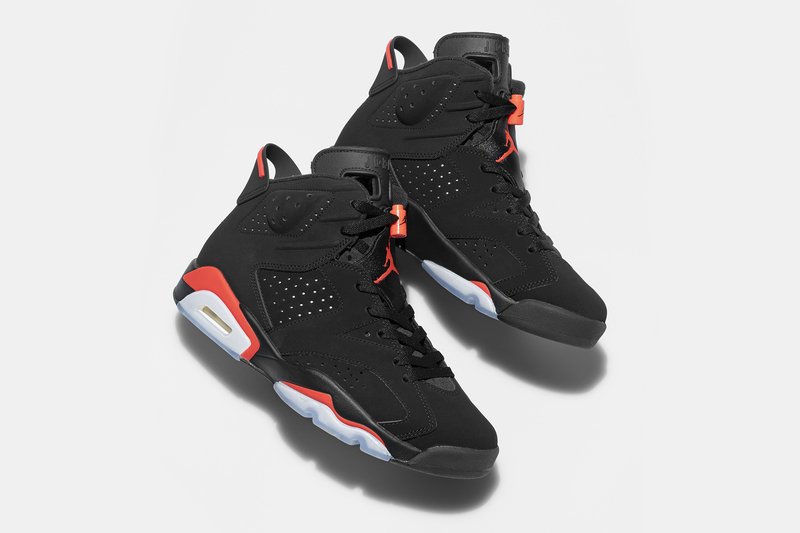 Designed and developed by Nike’s legendary designer Tinker Hatfield, the Air Jordan VI was first seen on the feet of Michael Jordan in 1991 while he won his first ever NBA title and coveted NBA Finals MVP crown. This season the coveted silhouette returns in its famed ‘Infrared’ colourway. 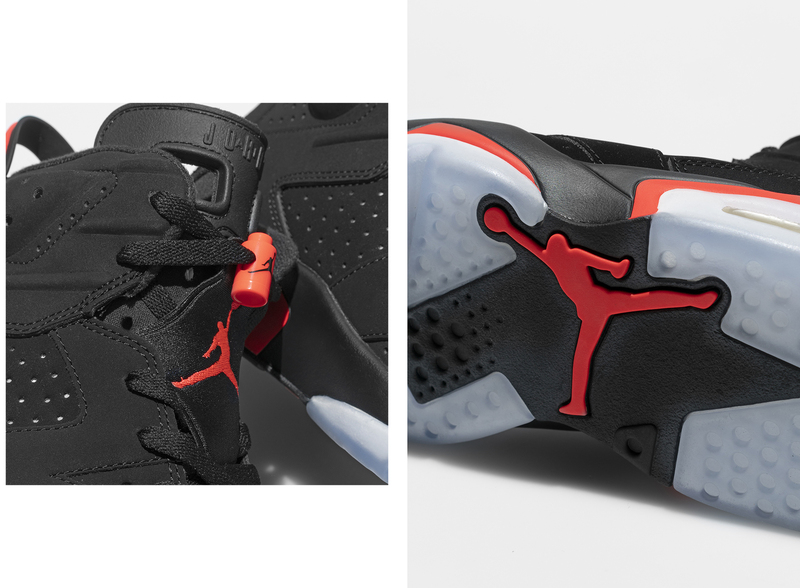 Upon its initial release, the Air Jordan VI featured a clear rubber outsole, a visible Air unit and utilised a clean toe box, which was a specific design request from Michael Jordan himself. A rubber tongue with finger loops, a moulded plastic heel tab and an inner boot sleeve were also all added to make the shoes easier to get on and off. Now back in arguably its most famous ‘Infrared’ makeup, this latest colourway pays tribute to one of the more popular colours Jordan wore during his title-winning season. Last reissued in 2014, the iconic palette utilises premium black nubuck across the entirety of the upper, while detailed perforations reveal the reflective underlay. 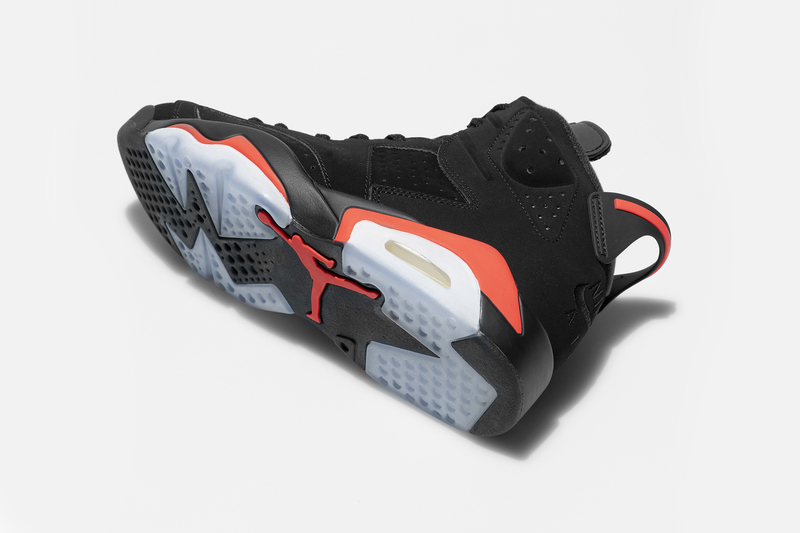 One notable deviation from recent Air Jordan 6 iterations is the inclusion of “Nike Air” branding to the heel (rather than the current Jumpman logo). This simple nod to the original 1991 model makes them that bit closer to the OG than previously released pairs. 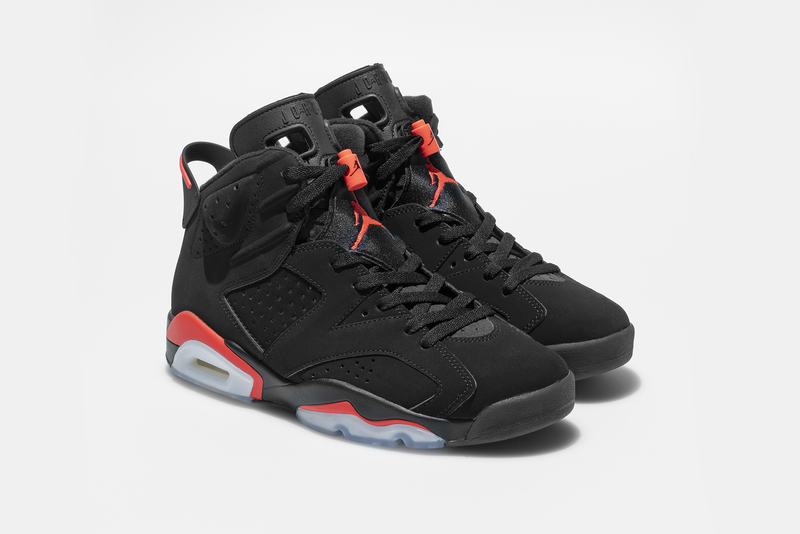 The Air Jordan VI Retro ‘OG ‘Infrared’ will be available on the size? previews app and in selected size? stores on Saturday 16th February, priced at £165 and available in both men’s and women’s sizes.